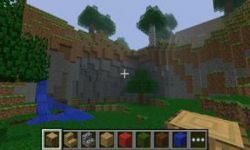 Minecraf - differs practically with nothing from the computer version therefore its admirers will find many familiar details in mobile option. It is amazing with special, unique retrostyle. All events in this world are extremely simple and casual. 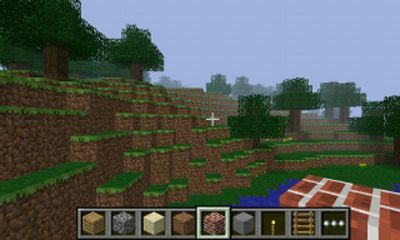 It is the game, where graphics and other technical features aren't so important as process. After all it opens a mass of interesting opportunities which leave nobody indifferent. In this game the user independently builds his own computer world by means of various blocks. It isn't so simple, you have only elementary details complicating process and doing it more intriguing. 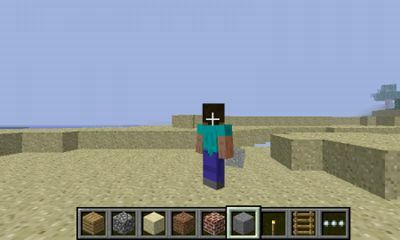 Creating the Universe, it is possible to use different types of blocks carrying out different functions and having different properties. Using blocks, it is possible to build everything that your soul wishes, including: castles and palaces, roads and bridges, and even stadiums for golf.